With DLE, accessories are an added value instead of an extra cost. 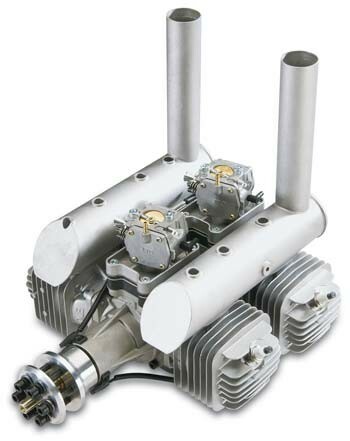 The DLE-222 package includes 2 mufflers, 4 spark plugs, gaskets, bolts, machined aluminum standoffs, a throttle arm extension, mount and mounting template. With an all-up weight of just over twelve pounds, it has the power-to-weight balance to make the most of it.